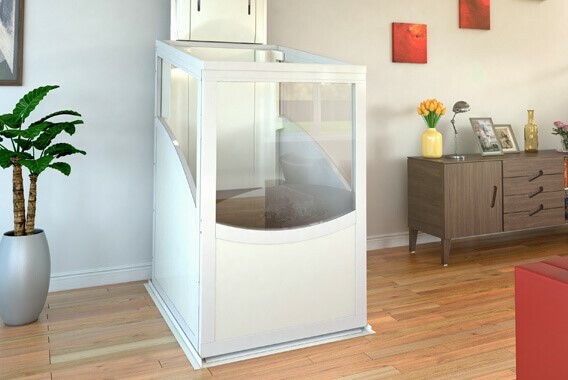 Open car home lifts offer the most cost effective way of having a through the floor lift installed into your property and can be installed into practically any home. 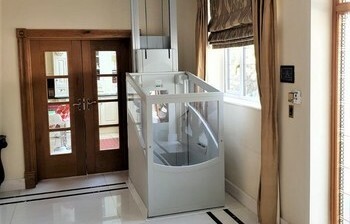 Home lifts, or through the floor lifts are designed to serve 2 floors of a property and are often used by wheelchair users or people that have difficulty climbing the stairs. 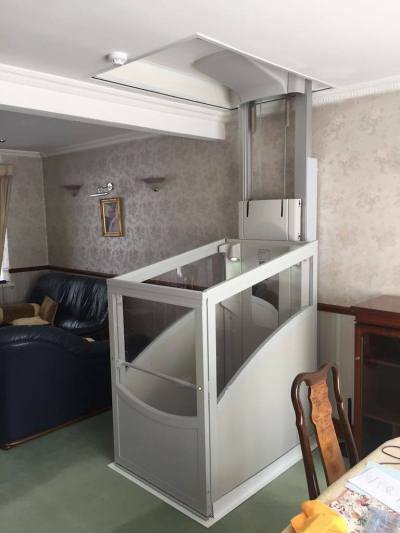 From the compact seated home lift that boasts one of the smallest home lift footprints on the market to the larger capacity wheelchair home lift, these lifts can usually be installed into most properties. All essential safety features come as standard with every lift including safety pressure sensors that will stop the lift on meeting an obstruction when travelling either up or down. Options include a powered closing door that gently opens or closes at the push of a button. If the door meets an obstruction, it will stop and then travel in the opposite direction. Find out how a homelift could be installed within your home. Simply give us a call on 0208 936 3060 or fill in our contact form where we can help you re-discover the upstairs of your home.